Disruptive technology is quickly becoming a central driver of business, the economy, society, and government, at the national and global level alike. The subject was selected by the World Economic Forum (WEF) as the theme for its annual conference in Davos on 20-23 January. It featured centrally in the State of the Union Address given by United States President Barack Obama on 12 January 2016 to begin his last year as his presidency approaches its end. It will be a core component of the priority health, climate change and employment agenda at the annual Group of Seven (G7) summit hosted by Japan at Ise-Shima on 26-27 May, and it is the first and most novel priority selected by the Chinese host for the annual G20 summit in Hangzhou on 4-5 September. All are asking which of the key disruptive technologies are most likely to flourish; what benefits and costs they will have in many spheres; and, above all, how they can be shaped, managed and governed by business, governments and the central global governance forums to bring a better life for all. To begin the task of producing answers, one needs to start with the first questions by identifying the disruptive technologies staking central stage on the global agenda this year. The most potent, promising technologies at present are well introduced by the Davos agenda. Under the umbrella of 'Mastering the Fourth Industrial Revolution', prominent global leaders will address clean tech and renewable energy innovation, the digital transformation of industry, the consequences of this transformation on the working population, the state of artificial intelligence, financial technology, or "fintech," and an e-marketplace for healthcare. Several G7 and G20 leaders will be there to provide an advance look at and perhaps even a down payment on their plans on such subjects for their summits later in the year. The first G7 leader to pronounce on such subjects was President Obama, doing so in his recent State of the Union address. Among the four priorities President Obama highlighted, in second place stood technology, "especially when it comes to solving urgent challenges likeÂ climate change". It was tightly intertwined with the first priority of the economy. Citing wind power and solar as clean energy innovations driving employment and savings, Obama emphasised the need to invest in the future and avoid subsidising the past, likely thinking of the annual $452 billion in fossil fuel subsidies provided by the G20. Technological innovations in education, medicine, and the simultaneous benefits and threats posed by the "open internet" also had their moment in the spotlight shone by his speech. At Davos, business, research and other leaders will focus on the technologies that promise to transform global society and that are already fast becoming the new normal in daily life. Robotics in hospitals, 3D printing, smart cars, financial mobile banking, clean energy solutions including rooftop solar panels and the world's first solar-powered airplane, biotech, and 'the internet of things' are taking exponential strides. According to the International Renewable Energy Agency's 2015 annual review on renewable energy and jobs, the global renewables industry alone employed 7.7 million people in 2014, with solar power technology cited as the greatest catalyst for job growth in theÂ renewables industryÂ in the United States. The agenda is already enough to digest and address, even for the most powerful leaders of the most powerful countries, innovative business and creative laboratories in the world. The next step, for them and for G7-G20 analysts, is to assess the benefits and cost that the leading candidates for the disruptive technology crown are likely to bring. 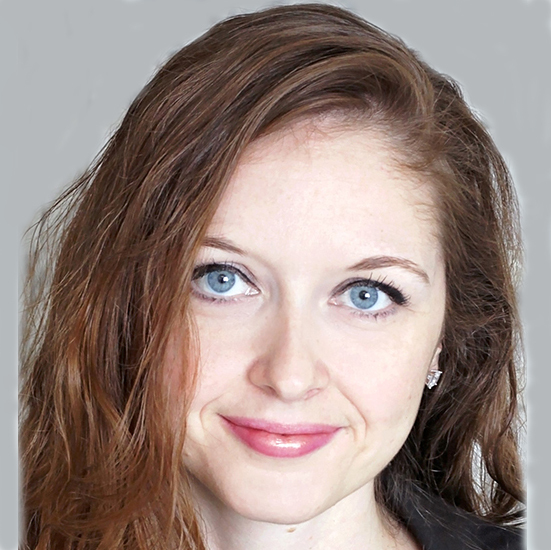 Brittaney Warren is a researcher with the G7 and G8 Research Group, the G20 Research Group and the BRICS Research Group, based at the Munk School of Global Affairs in Trinity College at the University of Toronto. She has worked in Spain and in Peru where she conducted field research on a sustainable development project with women living in extreme poverty. She has conducted research on the compliance of CARICOM members with their summit commitments on non-communicable diseases. Brittaney leads the social media strategy and marketing program for the G20 Research Group's books and works on climate change, and is the lead researcher on an e-book project on "Delivering Sustainable Energy Access." at the University of Toronto. This page was last updated December 18, 2017 . All contents copyright © 2019. University of Toronto unless otherwise stated. All rights reserved.